Practical Aquaponics SA aka HPA on Facebook, has spent nearly 10 years developing appropriate, risk averse, proven Aquaponics solutions for South Africa and Africa at large! PA SA offers in-depth, hands-on, intensive training at different levels on all aspects of Aquaponics in South Africa. We sell Proven Aquaponics System kits of different sizes, components, consumables, and accessories. Empowering you to be more healthy. With a good knowledge of the Sub Saharan agricultural conditions, lifestyles and challenges, HPA strives to be the leader and preferred supplier of modular aquaponic systems, components and know-how with the goal of empowering people to produce their own healthy food using correctly scaled appropriate technology. Martin Fick, initiator, and Director of HPA, has developed efficient, cost-effective and sustainable food production systems after 25 years’ of conventional crop farming and livestock management for export. Becoming conscious of the health risks that come with pesticides, as well as the myriad of problems that come with farming in the soil, he sought to optimise Aquaponics as a way of producing sustainable food in a small area with limited water and low energy requirements with a low start-up cost. 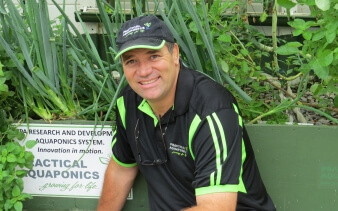 Through years of research, trials, development and problem-solving, Martin has now developed the various proven customised aquaponics systems that may be optimised to suit a variety of needs. This opens up a whole new world to home-owners, hobbyists, restaurants and retail outlets where they may take control of the food they produce knowing that it is both healthy and environmentally responsible. The technology of Aquaponics has the power to transform the face of pure food production to high-end markets in Africa, and offers the economic engine that can drive social and economic development business models for rural communities and villages as well as to entrepreneurial business ventures. HPA specializes in aquaponics system design and offers support, training, and mentorship to clients from personal, home-use systems to unique large-scale modular commercial aquaponic operations that offer a high degree of flexibility and control. Martin Fick is passionate about food quality, chemical free food production systems development and fly-fishing. 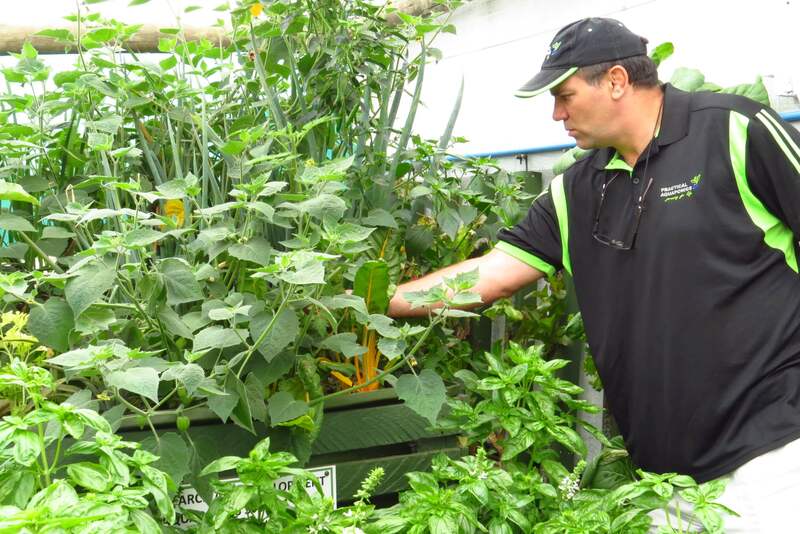 As owner and Managing Director of a number of Companies in South Africa, he established Home-grown Practical Aquaponics (HPA) in 2012 as a division of his Farming business with the intention to design, supply and install cost effective, sustainable, chemical-free food production systems in the Southern African region. With a good knowledge of the Sub Saharan conditions, lifestyles and challenges, he has sought to understand experimentally and communicate the driving principles of aquaponics to the growing number of people who are concerned about food quality and ethical production. HPA strives to be the leader and preferred supplier of modular aquaponics systems, components and know-how with the goal of empowering people to produce their own healthy food. After losing family farms and business as a result of political upheaval, leaving an influential management position on one of the major farming corporations in Zimbabwe in 2002, Martin and his family moved down to the Eastern Cape, South Africa. Martin held the position of CEO of Southern Impact and Salem Agribusiness, and he is the initiator and driver of Khula-Sizwe South Africa, an empowering business which seeks to link emerging farmers in the Ostrich and market gardening with markets and finance. Martin’s passion is to see people around him succeed, and in this vein, he initiated the only successful, sustainable small-scale farmer initiative in the Ostrich industry in 2003 and ran the program successfully until 2014 under the banner of Khula-Sizwe. This ground- breaking work has established him as an authority in the implementation of empowerment and development projects in Southern Africa. During the period 2008 to 2012 Martin was appointed resident consulting expert to Buhle Farmers Training Academy in Delmas under a Dutch NUFFIC program run by PTC+ Netherlands, to improve the capacity of the Academy. It was during this time that he met and was encouraged by a Dutch Professor from Wagening University in Holland, to become proficient in aquaponics. He was committed in this respect until the end of the project in July 2012. In January of 2011 Martin was appointed to conduct the management and mentorship of the Klein Karoo International CSI projects, establishing emerging small-scale farmers in the Ostrich Industry in the Eastern Cape. In addition to the above, Martin has also specialised in the establishment of commercial Animal Feed production and Pelleting Facilities, and has developed 8 Feed production systems across South Africa as a consultant and implementer. HPA exists to create practical, appropriate, ethical and responsible food production solutions, with a focus on empowering people to healthy, self-sustainable living by growing their own wholesome food with ease using proven aquaponics systems. We aim to create value and change the way people perceive food production. People: We work with people, inspiring them and showing them how to change and be the best they can be. Supply: We aim to provide home and business owners with cost effective, elegant, appropriate and efficient aquaponics systems, components and training. Leadership: The courage to shape a better future and take risks for the planet. Commitment: To persevere, and prove our ideas by our actions. Integrity: the hallmark of an organisation that demonstrates sound moral and ethical principles at work. Knowledge: Keep an open mind, learn from every opportunity and person we meet.